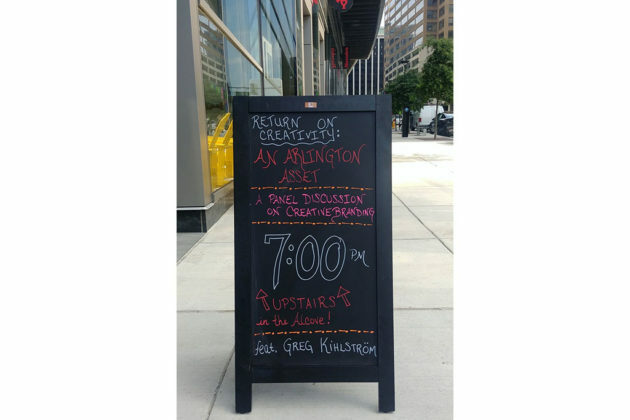 On a recent Thursday evening, The Alcove pop-up space in Rosslyn became an extra dimension for another seminar in the series ROC: Return on Creativity, an Arlington Asset. 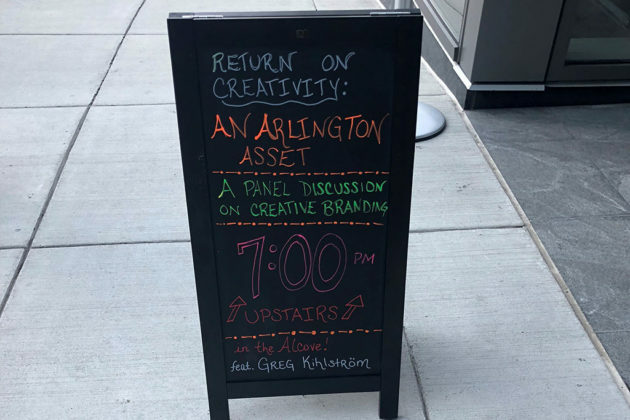 The panel of creatives delivered on navigating the changing landscape of publishing, branding, libraries and learning; the Rosslyn BID, Arlington Public Library, Arlington Economic Development and the American Advertising Federation D.C. Chapter brought everything else. Starting with Greg Kihlstrom’s launch of his newest book, The Agile Brand, library moderator Genelle Schuler led panelists Scott Williams (Newseum), Lisa Nirell (Energize Growth). Geoff Livingston (Livingston Campaigns) and Cynthia Connolly (who doesn’t love Banned in DC?) in a forum that was as lively as the space. 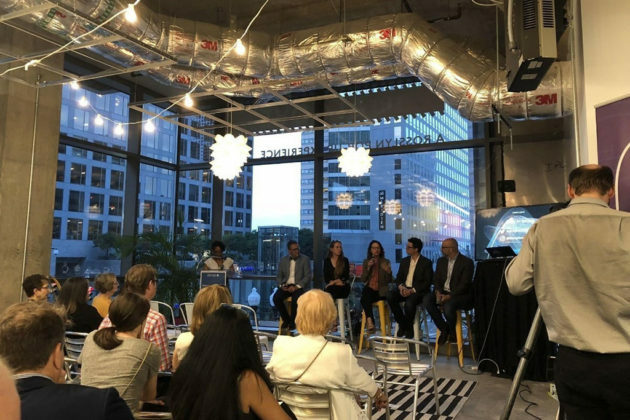 Temporary pop-up spaces are taking on a sophistication — and a new role — that is shifting place-making and retail. If it weren’t for the occasional plywood flooring and the whirring vent fans, visitors to the Alcove would think they’d found a surprising new boutique. 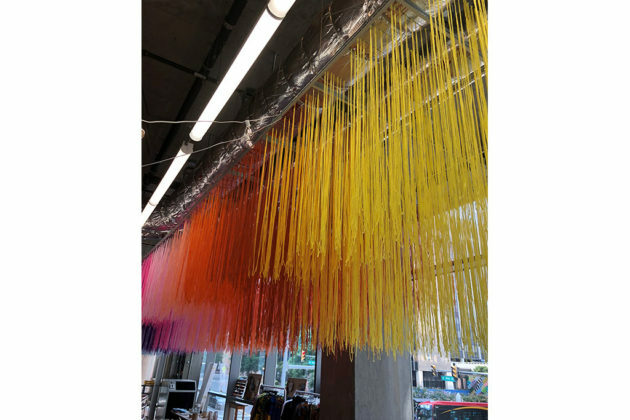 A full wall mural greets visitors, a rainbow of fibers floats along the windows and shoppers lounge in a mini living room. This is way more than decoration. The Alcove pop-up space is a two month experiential endeavor soon to be occupied by a long term tenant. 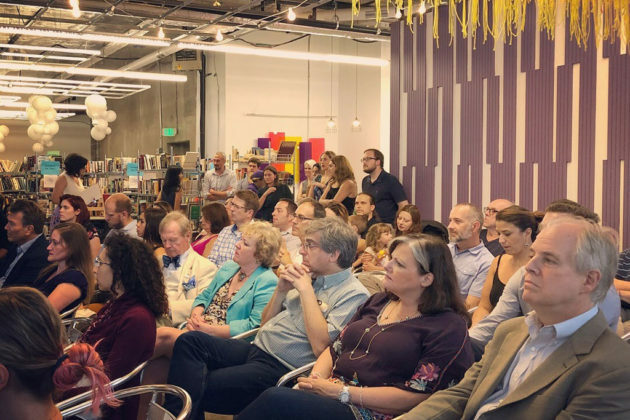 But from the size of the audience at Return on Creativity, the constant flow of visitors to the book shop and the Etsy pop-up, these prototype spaces are combining consumers’ curiosity with a desire for an Instagram moment. 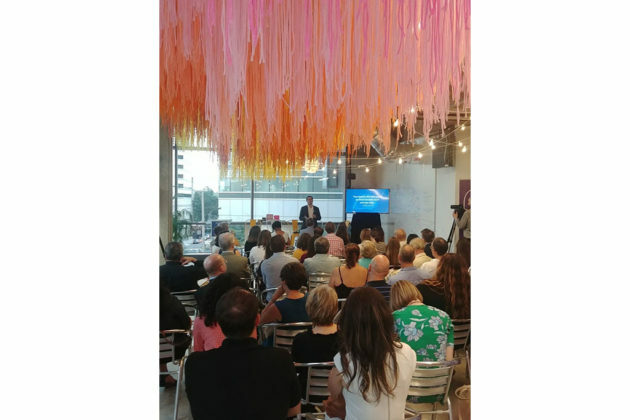 Check here for ongoing Creative Economy listings and opportunities. More Creative economy stories on the blog.